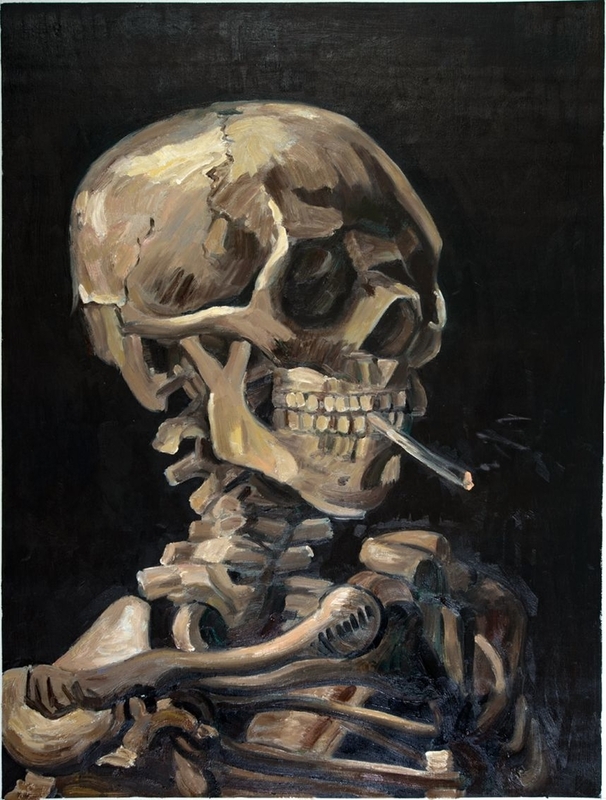 This painting of a skull with a burning cigarette is one of the early works created by Van Gogh when he was studying at the Royal Academy Of Fine Arts in Antwerp, Belgium. We are proud of creating replica paintings of the works of one of the finest ever artists Holland has witnessed. 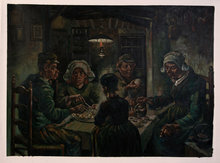 These replicas are hand-painted in Holland by our team of professionally trained artists who have skillfully mastered the various techniques like brush strokes and colour mixing that were incorporated by Vincent Van Gogh into his stunning artwork. It is very likely that this painting was created by Vincent Van Gogh when he was attending anatomy classes at the Royal Academy Of Fine Arts, Belgium. Another sketch from the same era, ‘Hanging Skeleton and A Cat’, seem to confirm this evidence. 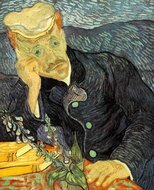 It is known that Van Gogh was ailing during his time at the university, and this painting could represent the concerns he had about his own well being and health. 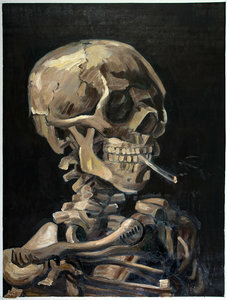 This painting has to be one of the most Macabre paintings ever created by Van Gogh. Unlike his other paintings, this one could have drawn influence from the works of Hercules Segers, who was his Belgian contemporary. 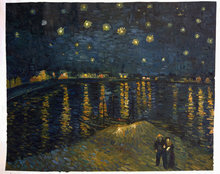 It is known that this painting was held by Vincent’s brother Theo Van Gogh at the time of his death in 1891. It was later passed on to Theo’s wife Johanna, who kept it till her death in 1925. Their son, Vincent—who was also Van Gogh’s namesake—inherited the painting after his mother’s demise, and held it till 1962. After this, it was acquired by the Van Gogh foundation.